Braselton, Ga. (2 September 2017) – After seven rounds of IMSA Porsche GT3 Cup Challenge USA by Yokohama racing and six rounds of IMSA Prototype Challenge presented by Mazda racing, the 2017 season is racing to a close this weekend as the Kelly-Moss Road and Race (KMR) stable heads to Road Atlanta. 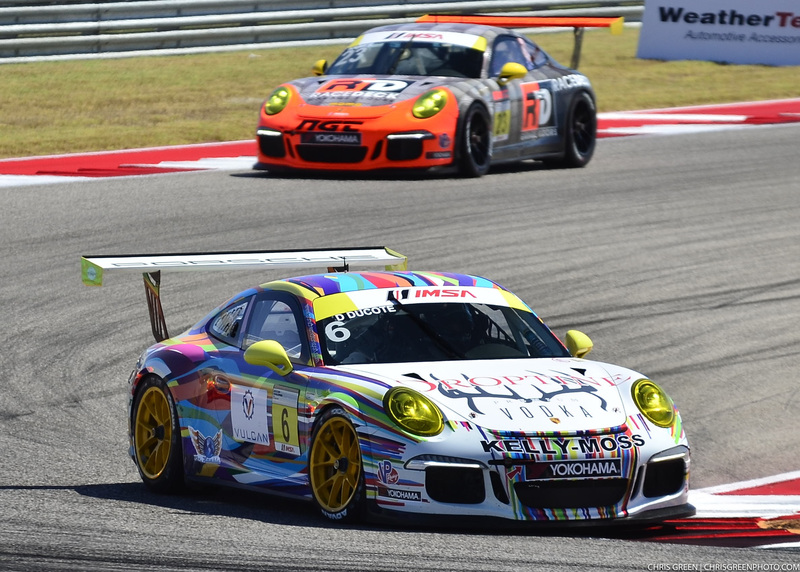 Kelly-Moss Road and Race is bringing another strong driver line up of four IMSA Porsche GT3 Cup Challenge drivers to the final event of the season. Jake Edison, who clinched the Platinum class championship in the previous event at Sonoma Raceway, enters the weekend looking for victories with the championship pressure now off. 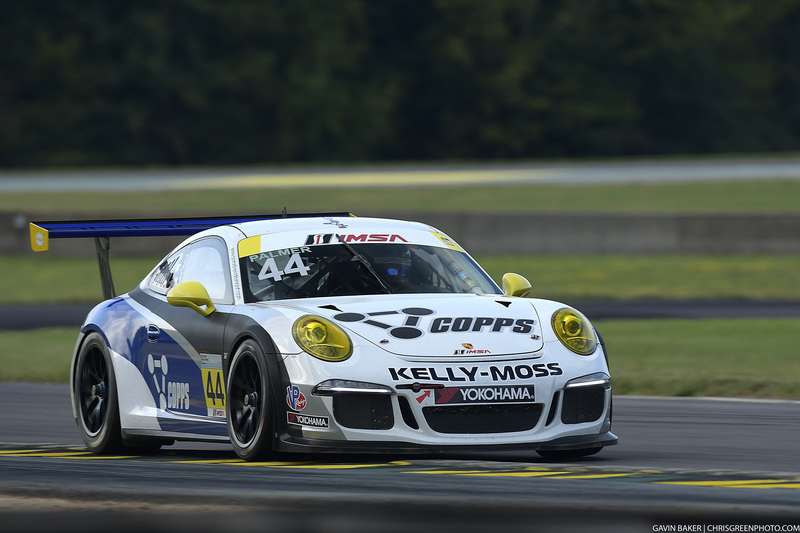 Eidson will be fresh off of a two-day test at the Lautsitzring in Germany for the Porsche Motorsport Junior Program. Eidson, who was the sole American nominee, battled against nine other international candidates with the goal of winning a scholarship for a Porsche Mobil 1 Supercup campaign. Eidson will be joined by KMR teammate, Greg Palmer, driver of the No. 44 Copps Industries Gold class entry. 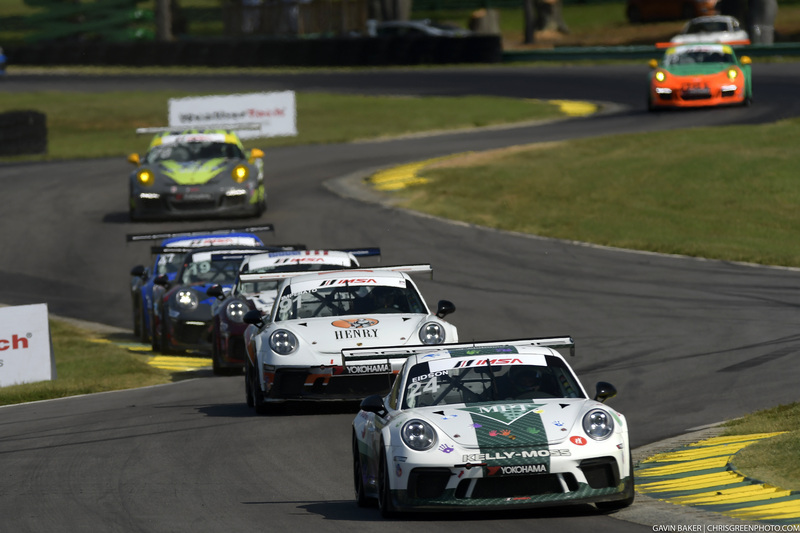 Palmer has shown growth throughout his rookie season which built up to a top five result in Round 6 at VIRginia International Raceway. Palmer is hoping to close out the season on a high note. The familiar face of David Ducote will be back racing in the Gold category for KMR in the No. 6 Porsche 911 GT3 in hopes of building on his noteworthy season debut at Circuit of the Americas in May. 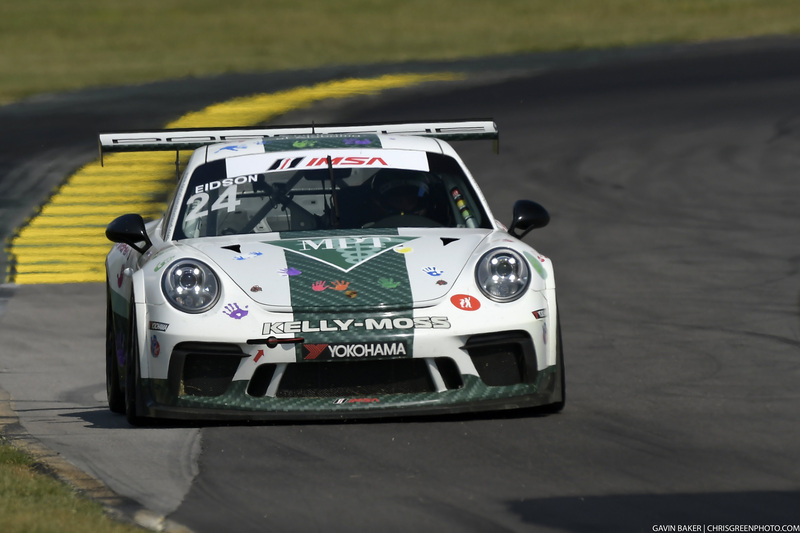 Ducote came out of the gate strong, producing a win and second place finish after securing the pole in Round 3 of IMSA Porsche GT3 Cup Challenge racing. Joining the the IMSA Porsche GT3 Cup Challenge USA drivers at Road Atlanta will be IMSA Prototype Challenge presented by Mazda driver, Colin Thompson as he sets his focus on winning the championship title. Thompson hopes to score a breakthrough championship victory for the No. 14 Ignite / Mattoni Water / Edoardo Borrelli / Ernst Benz / Sherwin Williams / Replay XD Norma M30. Thompson enters the final race weekend in the championship lead with 18 points over second place, Kenton Koch. Thompson is confident in the performance of his No. 14 Norma machine as it will be a fight to the finish.